Over time, increased wear and tear on pipes and pumps as a result of hydraulic transients can lead to premature failure. 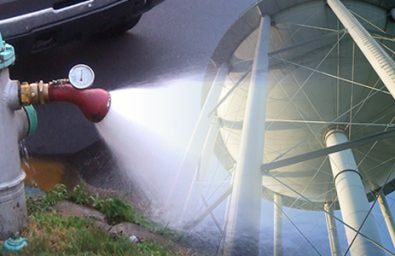 If left unchecked in a water or sewer system, transient pressures can cause catastrophic damage to pipes and equipment, risk the safety of operators, allow intrusion of dangerous contaminants into the system, and interrupt service to customers. Every time a pump or valve is operated, potentially dangerous transients are introduced in your water distribution or wastewater system. Unchecked, transients can have catastrophic consequences on your pipes and equipment, operators, and customers. 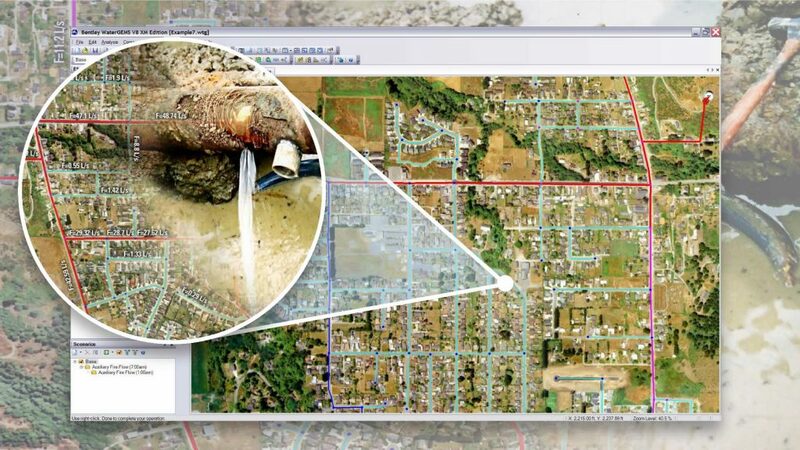 Water utilities, municipalities, and engineering firms around the world trust HAMMER’s computationally rigorous engine and easy-to-use interface to efficiently identify, manage, and mitigate the risks associated with transients. Focus on mitigating surge, not on the modeling process: Streamlined model building and management enables you to jump-start the model building process and manage your model effectively, so that you can focus on developing the most appropriate strategy for controlling and limiting hydraulic transients. Simulate transient precisely to improve the quality of your decisions: Decrease the risk of approximating the behavior of protective devices and rotating equipment. Rough estimation of transients can be too costly. HAMMER helps you accurately simulate the impact of a wide range of surge protection devices and rotating equipment (pumps and turbines). Leverage existing CAD and GIS data for improved design productivity and to enrich the system or model that utility personnel rely on. Control transients by performing a transient analysis to locate trouble spots and determine appropriate surge control strategies. Precise transient simulation in HAMMER enables you to decrease the risk of approximating the behavior of protective devices and rotating equipment (pumps and turbines)​. Interested in finding out more about Hammer? Request a price quote for a new license.